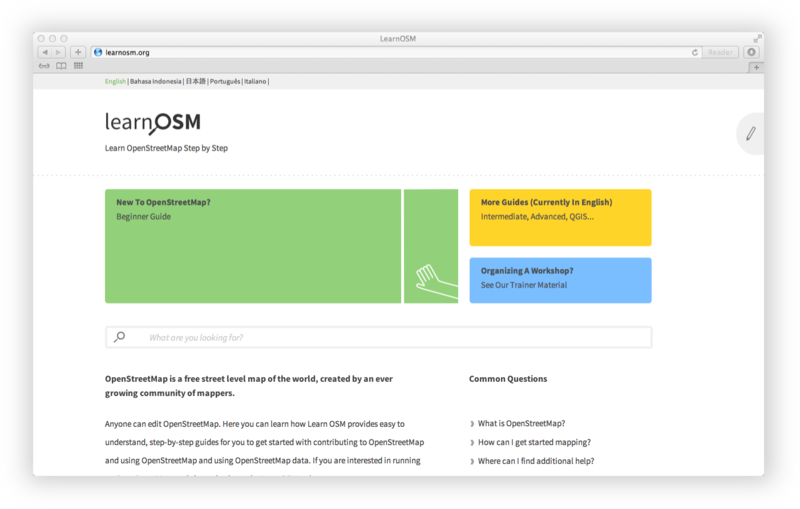 We just relaunched LearnOSM - the step by step resource for learning OpenStreetMap. LearnOSM was launched in 2011 by the Humanitarian OpenStreetMap team for the workshops they are giving world wide. It has grown into a resource used by OpenStreetMap newcomers and trainers well beyond its roots in humanitarian aid and disaster risk management.